Euro 2016: How much did your team earn? Five Premier League clubs were among those to benefit most financially from sending their players to Euro 2016. Only Italian champions Juventus earned more than Liverpool, Tottenham and Manchester United, while Arsenal and Southampton were also in the top 10. In total, 641 European clubs from 54 national associations received a revenue share of 150m euros (£127.74m). 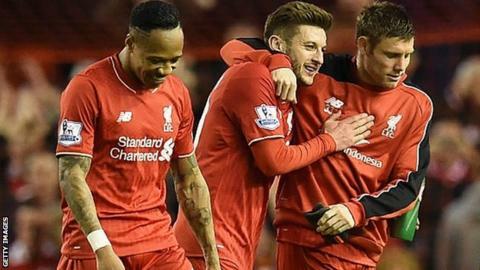 Liverpool, top earners in the Premier League, took £2,890,773 for releasing players for the finals and qualifying. Bayern Munich, Real Madrid, Barcelona and Roma completed the top 10. At the other end of the scale, Gibraltar's inclusion in Euro 2016 qualifying meant Evo-Stik Northern Premier League Division One North side Farsley Celtic and Welsh Premier League outfit Bala Town took a share of the revenue. An understanding between Uefa, European football's governing body, and the European Club Association (ECA) means some of the revenue from Euro 2016 is shared among those clubs who released players to their national teams. Clubs that released players for the final tournament took a share of 100m euros (£85.6m), while another 50m euros (£42.58m) was set aside for those that released players for qualifying matches. Another 744,937 euros (£634,390) was carried over from Euro 2012 and divided up during the qualification phase. "It is important and fair to recognise and reward the clubs for the release of their players," said ECA Chairman Karl-Heinz Rummenigge. In qualifying, each club that releases a player to the national team for is entitled to receive a fixed amount per player, per match. For the final tournament, clubs receive a fixed amount per player, per day. This starts 14 days before the player's country's first match and ends the day after their last match. How did your team fare? Liverpool, who supplied five of Roy Hodgson's 23-man England squad, were the top earners in the Premier League and enjoyed the second highest payout for the whole tournament with £2,890,773. Meanwhile, striker Adam Priestley's appearances in qualifying for Gibraltar pocketed eighth-tier Farsley £21,531. Linfield were the only team from Northern Ireland to benefit, while Welsh side Bala Town earned £17,942 from Gibraltar international David Artell.